Do you want to take part in the life of a French family during your stay? Do you want to taste the real French family cuisine? Do you want to practice French outside of your classes? Staying with a host family is ideal if you want to discover French culture and deepen your knowledge of the language. IFALPES works with a network of host families located in Annecy and the surrounding municipalities. Families are rigorously selected and met by our housing department. They sign a Charter of welcome and trust. You will make even more progress in French if you share the life of a French family that will be delighted to share with you. All our families have Wifi at home. All stays include an arrival on the Sunday before the course and a departure on the Saturday of the last week of the course. If you wish to arrive or stay an extra night, we ask you to inform the accommodation department as soon as possible so that they can study your request according to the family’s availability. Booking fees: They are include in the total amount. 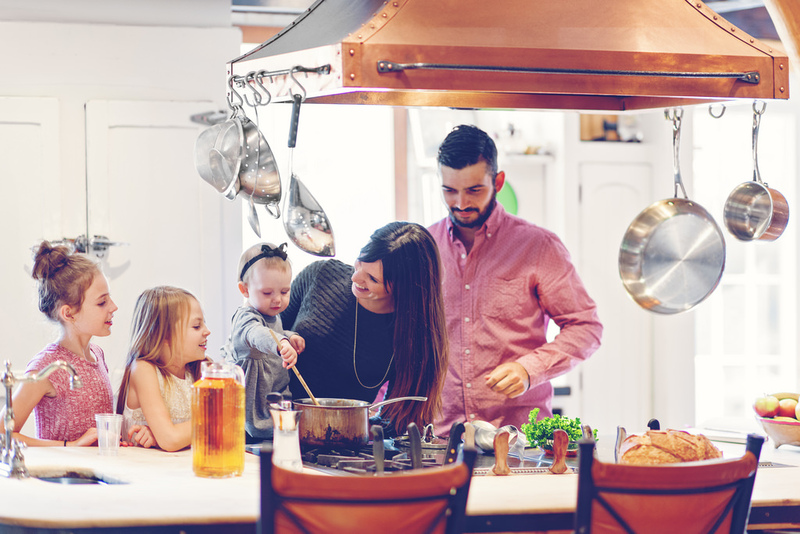 If you are staying with a host family for the first time, life in a local family may surprise you on certain points: the pace of life, way of life… Here are some tips to prepare your family stay. Arrival: Don’t forget to inform your host family of your arrival date and time. Rent: Please pay your rent upon arrival at IFALPES. NB: If you wish to change accommodation before the end of your stay, please inform the accommodation department and your family one month in advance. Any changes will be invoiced. Meals: Feel free to inform your family if you have a specific diet or allergies. Your hosts will do their best to vary your menus. If you are planning to eat out for your evening meal one day, remember to notify your family at least one day in advance. Any additional meals will have to be paid separately. Cleaning: Your family will tell you where to find the necessary items to clean your room. Don’t forget that a helping hand to clear the table or do the dishes is always much appreciated. Linen: Your family will suggest that you wash your linen at least once a week. If this is not enough, you can go to a laundromat in the city centre. Feel free to ask your host family for any other information you think is useful, they will be happy to help you!